Now that moving day is almost here, how are you going to protect your floors against work boots, dirt, water and furniture? If you have carpet, you don’t want dirt stains left behind and if you have hardwood flooring, the last thing you want to see is a big gauge in the finish. This could mean paying out of your own pocket to repair the damage left behind for the new occupants. That’s why flooring protection is so important. Here are some tips. At all costs, don’t drag furniture along the floor, or dents, scratches or broken tiles will result. Try to carry the lighter furniture pieces such as ottomans and chairs, and utilize furniture sliders and rubber-wheel dollies to handle the heavier stuff. Get some thick blankets to cover the edges of furniture, appliances and other heavy items so that the extra padding will soften any impacts if they happen. Using flimsy boxes can spell disaster. If the bottom gives out and the contents spill onto your floor, these can cause gauges, dents and chips. Purchase strong moving boxes that are more reliable than free boxes from the grocery store. If you do use cheap boxes, reinforce the bottoms and tops with packing tape and never overfill the boxes. Use furniture sliders to protect hardwood floors, which are made of strong plastic and hard rubber. These sliders can minimize or eliminate the friction between the object you’re moving and the floor underneath. Simply add a slider under each leg of a table or couch and push in the desired direction. Rent a dolly with rubber wheels to get your heaviest items out of the home. If you hire professional movers, they will bring this equipment with them. Even placing some simple doormats or tarps on the floor can keep dust, dirt and moisture from coming into contact with your floors. Ideally, you should place one doormat at the entry of your home and at the back of your home if movers will be using that exit as well. You may also want to use floor runners as yet another line of defense thanks to their anti-slip surface on one side. You can also use old rugs and line them up along strategic high-traffic points. Encourage the use of shoe covers on moving day, especially if the weather is less than ideal. 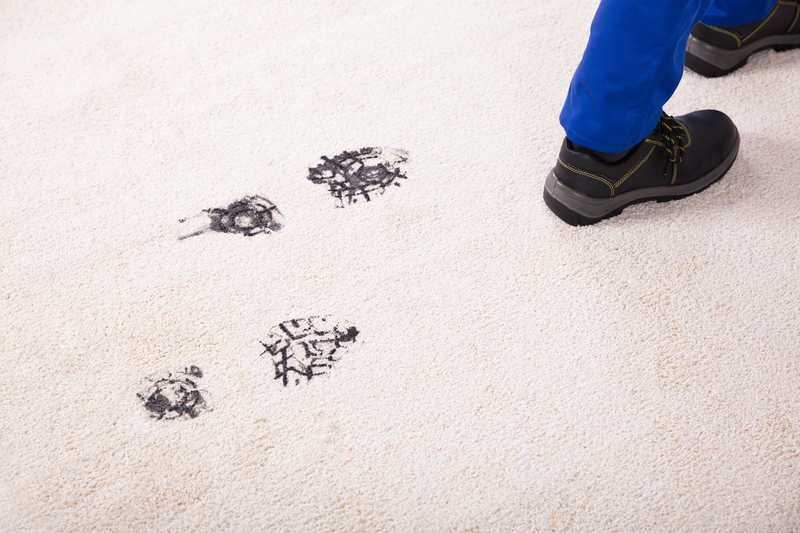 Draping plastic coverings over your carpeted floors will keep dirty or wet shoes from damaging the floors. Broken down corrugated cardboard will also work in a pinch. To book your moving day with Advanced Moving, contact us at 210-722-1322 or email us at info@bestmoversintexas.com. Our hours are 8 a.m. to 5 p.m. Monday through Friday, located at 25900 US Highway 281 in San Antonio. Or, complete our online form for a free estimate.